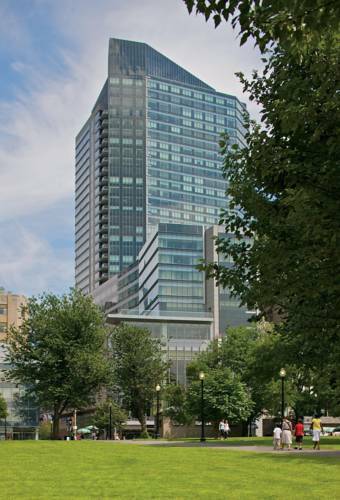 Perfectly located in the center of the city and only minutes from the financial district, theater district and the Freedom Trail, The Ritz-Carlton, Boston is a luxury hotel in Boston, Massachusetts. In 2017, the hotel's 193 guest rooms and suites, public space, and meeting rooms underwent a $13 million redesign, creating a contemporary, luxurious environment. The guestroom redesign offers a modern approach to luxury with a personalized relax, work, and sleep experience. Artisan Bistro and Avery Bar, the hotels restaurant and lounge, take an artisanal approach to creating locally inspired fare and hand-crafted cocktails..
Artisan Bistro: A modern and inviting restaurant with a classic bistro look and feel will feature fresh, local seasonal dishes that present artisanal cooking in an approachable way.